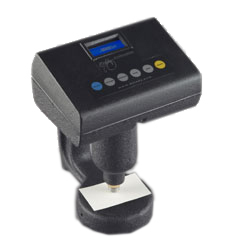 High quality Measuring and Testing Micrometers in a number of styles to suit your needs for a variety of precision, gauging applications (including portable handheld models, analog (dial) bench-style models, and digital bench-style models). 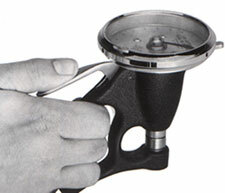 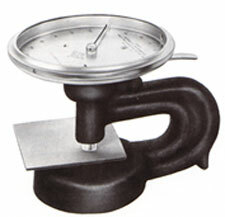 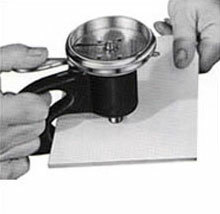 6″ throat model-This micrometer allows operators the option of placing the unit upright on bench while taking readings. 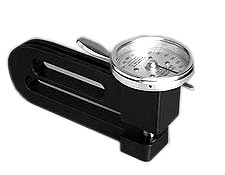 See dial graduations for this model (PDF file). 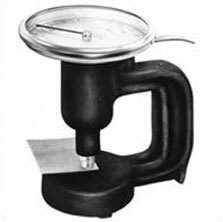 Accuracy .001 mm or 1% of sample thickness for most materials .010″ or larger (in some cases, it may be necessary to utilize a calibration chart for smaller thicknesses to meet the specified accuracy). 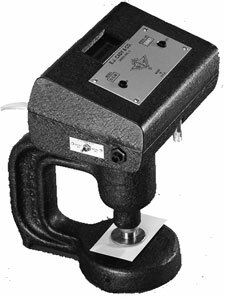 Copyright © 2017-18 by Emerson Apparatus Inc. — All Rights Reserved.